China has been engaged in a national campaign against smog since 2013. Pollution reduction targets are set to be met next year. 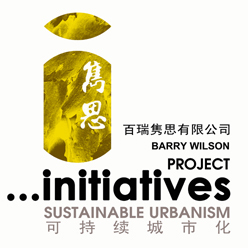 The Action Plan on Air Pollution Prevention and Control was established in 2013. On July 5th, the Ministry of Environmental Protection and the Chinese Academy of Engineering held an exchange meeting to report the assessment result on the action plan's midterm performance. The plan said all cities should cut their PM10 levels by 10 percent by 2017, and that three major zones－Beijing-Tianjin-Hebei, the Yangtze River Delta and the Pearl River Delta－should cut PM2.5 by 15 to 25 percent. 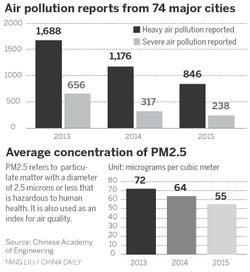 PM2.5 and PM10 refer to hazardous particulate matter. A majority of Chinese provinces have performed well in reducing airborne pollutants and have a good chance of reaching the targets on time. Major airborne pollutants including PM2.5 and sulphur dioxide have been reduced greatly, and the days with good air quality have increased nationwide, according to the report. However, seven provinces, including Liaoning and Jilin, not only failed to reduce PM10 concentrations but saw increases. Beijing, the capital, is also facing a tough challenge in meeting the 2017 goals. Although it was expected to reduce PM2.5 to 60 micrograms per cubic meter on average, its concentration last year averaged 80.6. To generate less pollution, the assessment suggests Beijing to replace coal consumption for winter heating with electricity in its rural areas and some areas of neighbouring Langfang and Baoding cities, as well as some cities in Hebei province within 18 months. The reduction of coal burning is one of Beijing's difficult challenges, but success would enable the capital to reach its 2017 goals, said He Kebin, dean of the School of Environment at Tsinghua University.